Yesterday I went to the Knitting and Stitching Show 2013 with my friends Joey (So Joey Creates) and Laura. It was great to look around and get inspired to do things again, going to start making some jewellery and trying to do some drawing of clothes. 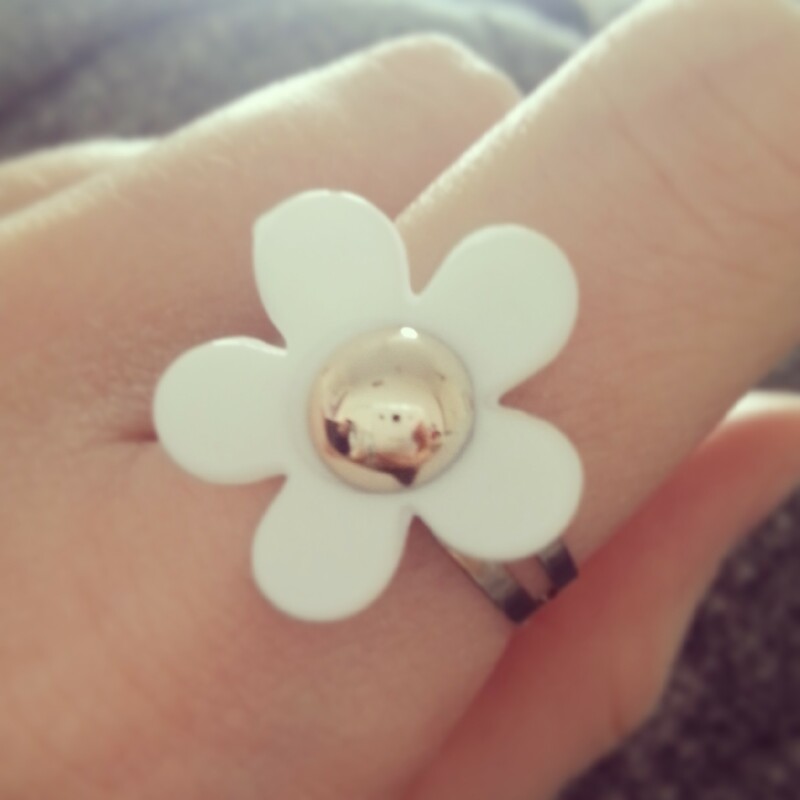 I bought this ring, looks like Marc Jacobs but was only £1! Me and Joey traditionally get each others birthday presents there! 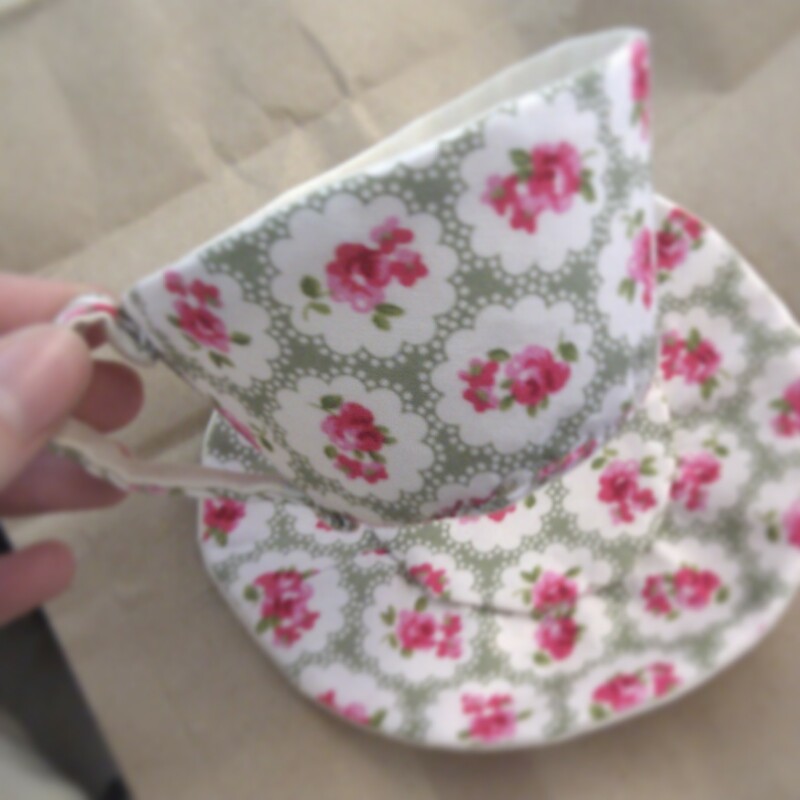 So this is mine from Joey this year 🙂 Fabric tea cup! !